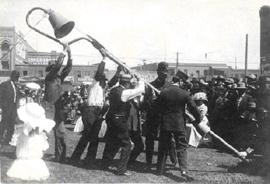 Sustainable San Mateo County featured the Grand Boulevard Initiative in a fascinating article on El Camino Real through a historic lens. The article outlines the evolution of “the Royal Road” and identifies the Grand Boulevard Initiative as a change-maker, helping to create more of what Peninsula communities desire and need: vibrant and sustainable neighborhoods, thriving business communities, and a strong system of public transportation that is safe and accessible. 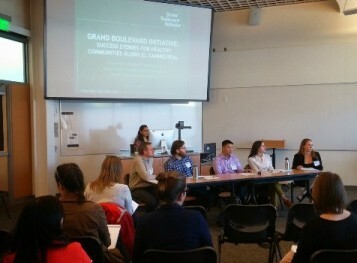 Read the article and see how the Grand Boulevard Initiative is working to foster sustainable communities and people friendly places: http://www.sustainablesanmateo.org/2015/04/10/el-camino-real-a-historic-perspective/. The Housing Leadership Council of San Mateo is hosting their “Fill the Affordable Housing Gap: Development Impact Fee Workshop” on July 15th. The discussion will surround the results of the “Grand Nexus Study” on Development Impact Fees, a potential method for providing housing funding in our cities. Learn about impact fees, how they are justified, their legality, and how they can be implemented. Light dinner is included, RSVP required. Register here: http://salsa3.salsalabs.com/o/50720/p/salsa/event/common/public/?event_KEY=82572. Sign Up for the 5th Annual Silicon Valley Bike Summit – August 26th! 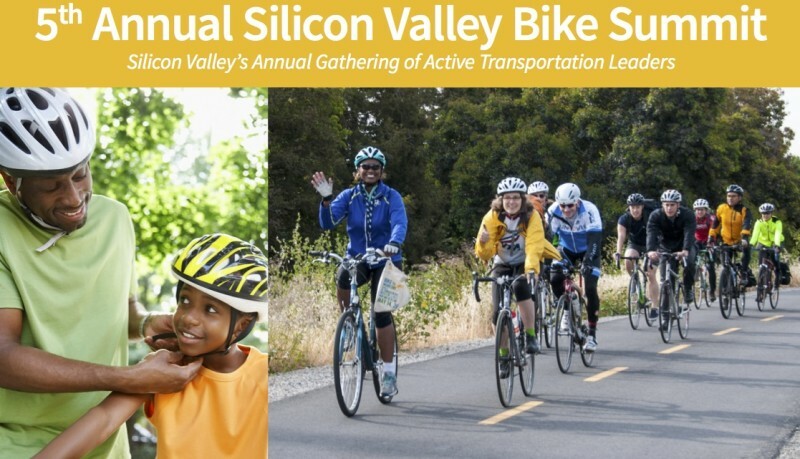 The region’s largest gathering of active transportation leaders and organizers from across sectors is the place to be to explore innovative ideas on safety and bicycling in Silicon Valley. There will be presentations by San Mateo and Santa Clara County Health Departments debuting their bicycle collision reports. The Silicon Valley Bicycle Coalition will present a new toolkit for local governments to implement Vision Zero plans. There will be a presentation on technology solutions to address data holes and safety accessibility issues. The keynote speakers are two cutting-edge transportation leaders, Nuria Fernandez, General Manager and CEO of VTA and Jim Hartnett, General Manager and CEO of SamTrans. Finally, stick around for a post-summit happy hour to mingle with colleagues and friends. Click here for more information and to RSVP. 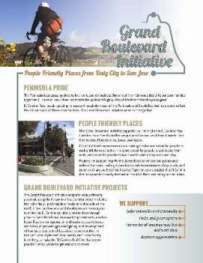 Check out the NEW Grand Boulevard Initiative Message Platform! In front of an engaged and enthusiastic audience at the 2015 TransForm Summit, the cities of San Mateo and Mountain View described the City of San Mateo Sustainable Streets Plan and the City of Mountain View El Camino Precise Plan. 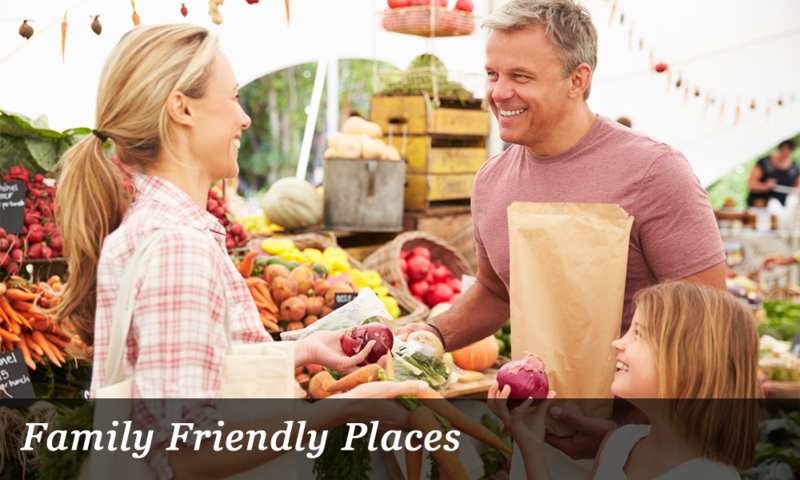 These planning projects, which reflect the Grand Boulevard Initiative Vision, can serve as models of successful outreach for other communities and organizations. Community leaders from Greenbelt Alliance and the Silicon Valley Bicycle Coalition also shared their lessons learned through these projects’ outreach processes. Overall, the panelists suggested the best way to have a meaningful impact is to submit well-researched comments at the appropriate time, attend community meetings, encourage fellow community members to attend meetings who have not attended in the past, and reach out to your elected officials. We were also excited to learn that a majority of the audience knew of the Grand Boulevard Initiative prior to the session. Our hard work in spreading the word about the Initiative is paying off! Take a look at the presentation. Big thanks to our panelists as well as our wonderful audience! In an effort to promote connectivity within the City of San Carlos and to enhance accessibility to residents, the East Side Connect Project was developed along the entire length of Old County Road. This stretch of road is now a complete street, meaning that it provides safe and comfortable environment for many modes of transportation, including walking and biking. Grand Boulevard Initiative To Be Featured at 2015 TransForm Summit! Can Reducing Traffic Lane Widths Improve Safety? Corridor Guidance - TIGER II Complete Streets Final Report Now Available!